Johnston (Catherine); Shepherd (Gyde Vanier), born 1936; Worsdale (Marc), 1954-2001? (23.5 × 25 cm), 142 pp., 96 illustrations (some in colour). 49 catalogue entries. Publisher’s pictorial wrappers. 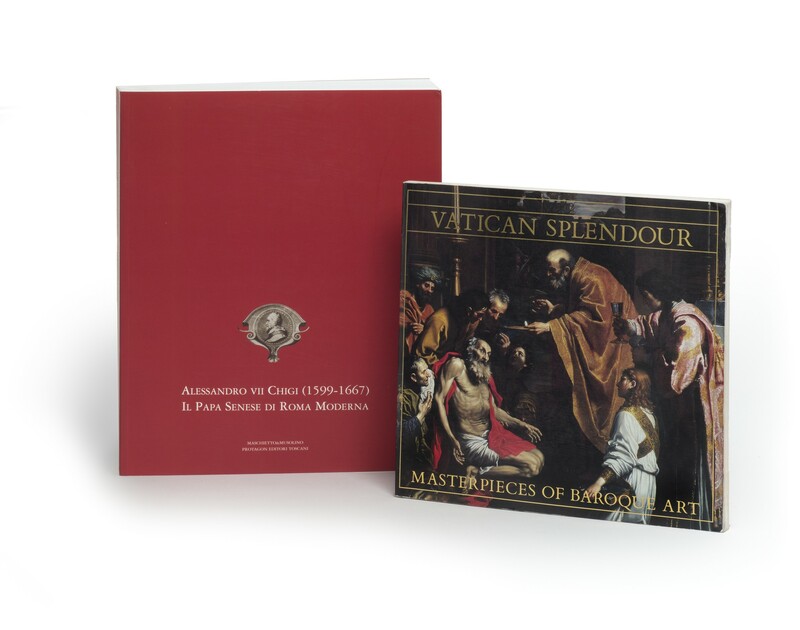 - Presents paintings, sculpture, textiles, and medals, mostly from collections of the Vatican. Essays by Catherine Johnston (The rôle of papal patronage in Italian Baroque art), Marc Worsdale (Eloquent silence and silent eloquence in the work of Bernini and his contemporaries), and Gyde Vanier Shepherd (on the Baroque tradition in Quebec, 1664-1839). 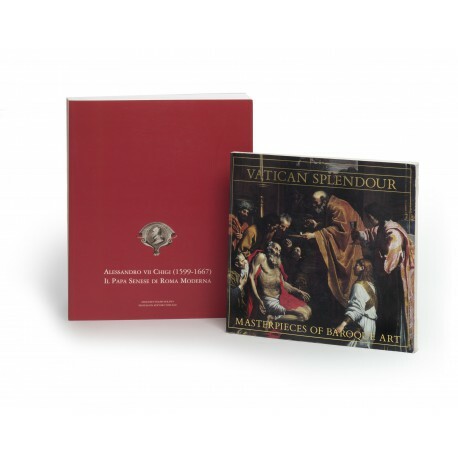 Offered with Alessandro VII Chigi (1599-1667): il papa senese di Roma moderna (published on the occasion of an exhibition held in Siena at the Palazzo Pubblico and the Palazzo Chigi Zondadari from 23 September 2000-10 January 2001), Siena: Maschietto & Musolino, 2000. - 350 catalogue entries, together with essays on Pope Alexander VII Chigi’s education, family, cultural interests, art collection, and patronage of architecture and art in Rome, Lazio and Siena. ¶ Fine, unmarked copy. (23.5 × 25 cm), 142 pp., 96 illustrations (some in colour). 49 catalogue entries. Publisher’s pictorial wrappers. - Presents paintings, sculpture, textiles, and medals, mostly from collections of the Vatican. Essays by Catherine Johnston (The rôle of papal patronage in Italian baroque art), Marc Worsdale (Eloquent silence and silent eloquence in the work of Bernini and his contemporaries), and Gyde Vanier Shepherd (on the Baroque tradition in Quebec, 1664-1839). ¶ Very good, unmarked copy. (30 cm), 551 (1) pp., illustrations (some in colour). Publisher’s cloth, dust jacket. - 350 catalogue entries, together with essays on Pope Alexander VII Chigi’s education, family, cultural interests, art collection, and patronage of architecture and art in Rome, Lazio and Siena. A number of Roman bindings are described by Paolo Torriti; Daniela Del Pesco contributes an essay (Le incisioni e la diffusione internazionale dell’immagine della Roma di Alessandro VII), and describes many architectural books and prints. ¶ Fine, unmarked copy.